What a year it was! Personally, 2015 had a lot of big moments: L and I got engaged and moved cities, and I took on quite a lot more responsibility at work. All good things, certainly, but all things that kept me very busy. Last year I knit 35 items (!!!) and I had similarly high hopes for this year. But, well, reality crept in. I had so much less time this year, for all kinds of reasons, and although I didn’t manage to knit as many things as I had hoped, I am really happy with what I did make. I spent a lot of the spring thinking seriously about my handmade wardrobe and how to build it out. Between that, and the growing realization that I was producing handmade items faster than I was wearing through them gave me pause. So, anyway, this year I completed 19 knit items (and I’m pretty close on no. 20). Nearly half of those things were gifts, which is something I’m quite proud of, and several were sweaters, another positive! You can see all my knits here (most of my sewing wasn’t blogged) but here are my favourites from the year. Socks and sweaters and t-shirts. Haha. That’s definitely my uniform. These are all garments I wore a lot throughout the year (and will continue to wear in the year(s) to come) and they are a good template for me to follow this coming year, I think. I have yarn for two lightweight sweaters — one neutral cardigan, one brightly coloured pullover — and no shortage of sock yarn. I would like this to be the year I add a couple of shawls to my wardrobe as well, since I really do wear the ones I have quite regularly. Sewing wise, there are certainly more Scouts in my future, and I hope a dress or two as well. And the gift knitting will continue as well. L has become a full hand-knit-sock convert (he wore the pair I have him for Christmas for four days straight) and I can hardly ignore that kind of enthusiasm. And there are lots of babies to knit for these days as well — including our soon-to-arrive nephew! I do have some specific plans in mind for the New Year, but I’ll save those for another post. How do you feel about your year, now that you can look back on it as a whole? Did you accomplish what you wanted to? I don’t know how long it will last, but right now there’s just a touch of fall in the air. This week is supposed to get warmer again, but I wore hand-knit socks both days this weekend after months of not needing socks at all, and today I wore both my Grace cardigan (first time since the spring) and my Shaelyn on the walk to work. Really, if Me-Made-May was a September thing, I would have been killing it, because I was wearing my double-gauze Scout Tee (so, basically this outfit) too. Anyway, suffice to say that fall feels very like it has arrived, and though I always mourn the end of summer, there are worse ways for it to end than with the crisp air and great light of fall. In the spirit of this wonderful season that is far too short, I am in a mad dash to knit all the things and make all soups and basically set myself up for an excellent season. To that end, here are some of the things I’m planning (and reading) at the moment. I have a lot of knitting planned (of course) but I am especially excited by my recent plan to knit myself a Dala horse hat and mitts set, using the excellent Karusellen hat pattern from the new Pom Pom (my issue just arrived!) and the free Dala Selbu Hybrid mittens pattern. Button-down shirts always feel very fall to me — something about back to school I guess — and I have both the Aster and the Archer patterns to try. This is a big step forward in my sewing, but I successfully executed a (never blogged, for various reasons) Southport Dress, so I’m feeling okay about the whole endeavour. Really, it will be finding the time that’s the real challenge — sewing requires so much more set up than knitting. Clearly, all this making will make me hungry, and soup and grilled cheese is just about my favourite meal pairing (ask just about anyone who knows me). After years of searching (not exaggerating) this is probably the best and more reliable tomato bisque recipe I’ve ever found, and this is the absolute right time to be making it because fresh tomatoes take this to another level. Another soup I am dying to try (but, full disclosure, have not yet made) is this vegan pho. I love pho, but it’s very hard to find one that doesn’t have fish broth. Clearly making it at home is the answer, and I like that this recipe is for a small quantity. Leftovers are great, but sometimes you just want to make dinner (and it’s so much easier to scale up than down). Did you see Knitty’s call for patrons? When I first started knitting (before I knew about Ravelry) Knitty was my first major resource. I found it during a bout of blind googling and it felt like I’d landed on buried treasure. Now that I’ve come to better understand its place in knitting’s web-culture and its fantastic attitude toward designers, I like it even more. I’m not sure I’ve ever knit a pattern, but I’ve definitely read through instructions to learn about techniques and the trove of tutorials is really excellent. (Edited to add: This is total nonsense on my part. Monkey is a Knitty pattern! The more I look at their archive, the more I realize how many “classic” patterns were published by Knitty.) 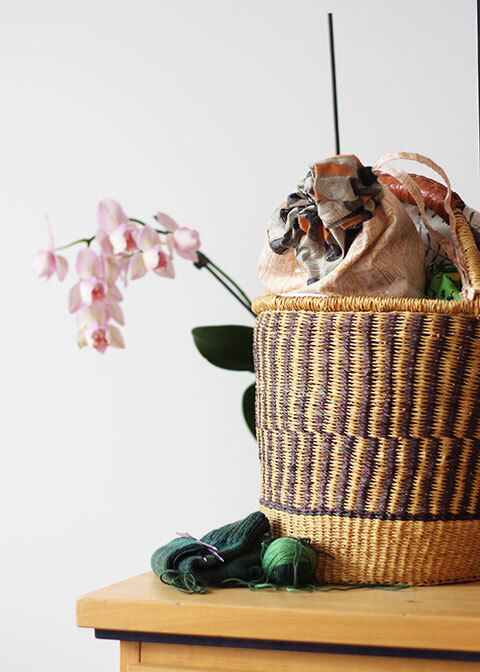 Basically, I did the math, and realized that I could support this excellent resource and publication for less than a skein of sock yarn a year, and signed up to be a patron. This is not meant to be a directive, but if you didn’t hear about this initiative and are interested, it’s definitely worth checking out the ways you can support Knitty. And, last but not least, L and I are in the art-hanging stage of our move-in (this is when it’s serious, because your furniture better be pretty much arranged) and we’ve been re-evaluating some of our previous frame choices. I found this tutorial today for a kind of floating-non-frame look and I think we’re going to try it in the living room. What are you enjoying these days? Is it fall where you live? Every year – Every. Year. – at the end of October the same thing happens: the temperature falls, Rhinebeck happens (and I don’t go), and then what feels like a million gorgeous sweaters show up on Ravelry, making me want to knit sweaters, which is perfect, because it’s cold. This is also the time of year when I realize it’s almost NaKniSweMo (national knit a sweater month), and I get all excited about taking part. Except. Except by now I’m starting to feel the weight (just a little) of my grand holiday knitting plans, so I can’t actually cast on for any sweaters, but I can probably justify swatching. When I realize this, every year, I vow to start my holiday knitting early next year (like, in-June early) so that I’m far enough ahead that I can take November off to knit myself a sweater. And then I feel a little guilty about wishing I was knitting for myself instead of for my family, who all really appreciate hand-knits and generally make requests months in advance. You’d think I’d learn, right? But no. So instead of casting on immediately for a new sweater I am dreaming. My dream is that I finish my holiday knitting by the end of November so I can cast on for a sweater in early December. (It’s not a very profound dream, I realize that, but there it is.) I’m having a bit of an Amy Herzog moment, so she (or, her designs) feature rather prominently. 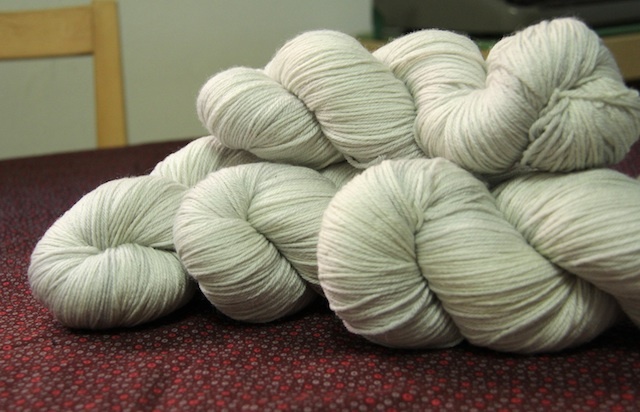 Four skeins of Falkland in Dusty Miller. First, I got home last night to find this gorgeous, gorgeous yarn waiting for me. 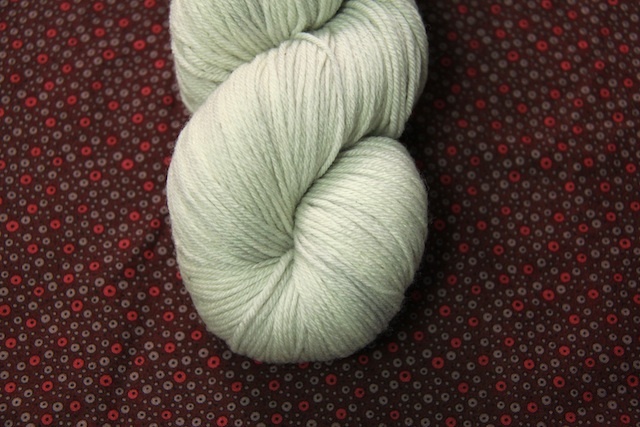 It’s Falkland (80% British Falkland merino, 20% bamboo) from Kettle Yarn Co. in Dusty Miller (do you read Linda’s blog? It’s great.) I requested a custom order, since she didn’t have enough of what I wanted available in her shop, and she didn’t even blink! I wish there was a way for you to squish this yarn through the screen. There is so much spring to it, and it is so, so soft, with just the most subtle shine from the bamboo. The colour is subtle and warm and it’s exactly the sort of thing I would happily wear everyday. Thus, I want it to become the kind of sweater I can wear everyday. I did a lot of searching for a suitable pattern, but in the end, I think I’m going to use this to try out Amy’s new Custom Fit system to configure a pullover. For the first time in my life, I’m excited to swatch because it will allow me to figure out what fabric I like best, rather than try to fuss around and get a certain gauge. I can’t wait! After that, I’m thinking I could use another warm and cozy cardigan, and Amy’s new Acorn Trail design is so me I can’t believe it isn’t in my closet already. I love the texture and the play between the cables and the lace, and yeah, I love it. My plan is to knit it up in Madelinetosh Vintage (which just arrived in the shop and, despite my efforts, I was unable to resist) in Tart. 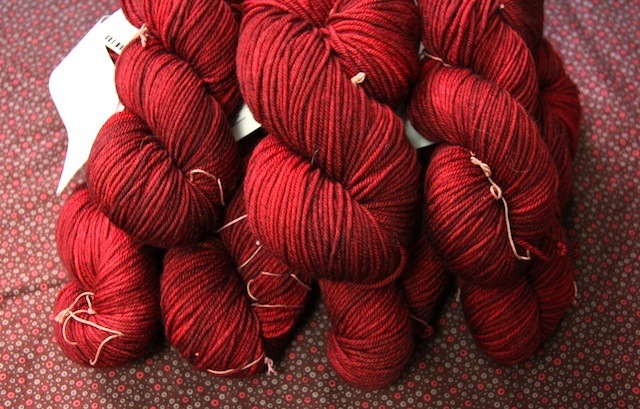 Seven skeins of Tosh Vintage in Tart, more than enough for any sweater I want to knit. So, consider this a preview of what’s to come over the next few months. In the meantime, back to those socks. I’m hoping to be half-way through the second Saltburn by the end of the weekend – what are your weekend plans?